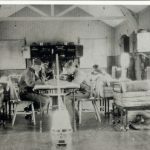 During recent years, a number of the Army Apprentice Associations have independently been considering the possibility of a memorial to the Army Apprentice Scheme. During 2008, the Beachley Old Boys’ Association started their own Memorial project, with David Chapman (60A) at the helm. 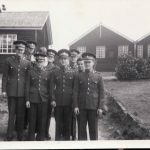 During the summer of 2009 at the Arborfield Association AGM, Maurice ‘Mo’ Hope proposed that the Association should consider a memorial to the Army Apprentice and they subsequently formed a Memorial Committee. Gordon Bonner (49B) was tasked to investigate the possibility of all the known Ex-Apprentice Associations collaborating on a project to have a single national memorial located at the National Memorial Arboretum at Alrewas, Staffordshire. 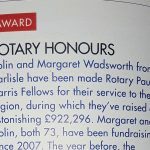 Subsequently, a Memorial Steering Committee was formed with representatives from the four associations of Chepstow, Arborfield, Harrogate and Carlisle, to firstly look at the possibility of the project and should there be agreement, to plan and implement the activity to make it happen. 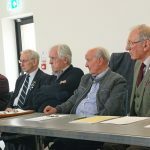 Following the initial meeting of the four Association’s nominees, it was decided that a joint project was an excellent idea and that by pooling ideas and funds, a more appropriate memorial could be designed and established at the NMA, Alrewas. 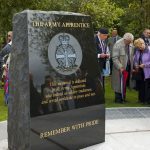 The Army Apprentice National Memorial is dedicated to all the army apprentices who served their country and in memory of those who gave their lives for it. 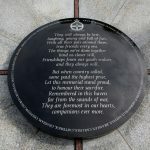 Former apprentices or their families, were able to sponsor commemorative granite tablets, to be incorporated into the floor area of the memorial during construction. All spaces were quickly taken up. 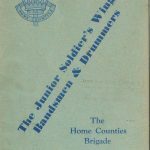 This was the main fund raiser to enable the memorial to be built. The AANM Trustees finalized the most appropriate design and liased with the National Memorial Arboretum concerning construction and the dedication. 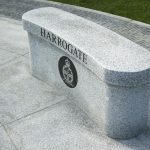 Through the fund raising program the memorial has been now constructed. A Constitution is in place and Charity status has been granted. At our second meeting in December 2009, an excellent provisional design was selected, together with a supplier who had a wealth of experience and a very competitive quote. 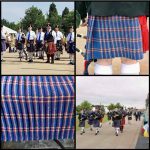 We had the approval of the Trustees of the National Memorial Arboretum and the Associations for this. The AANM Trustees have now achieved their aim to maintain a lasting memorial to the Army Apprentice now the memorial is built and dedicated. 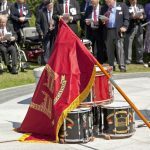 The Appeal has raised the required funds to meet all the final costs of the Memorial and and provide a legacy payment to the NMA for on-going maintenance costs. Copyright © Army Apprentices Memorial Trust All rights reserved.